HDMI is getting bigger and better later this year. 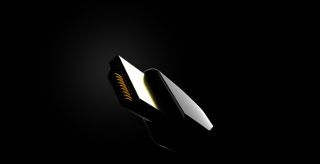 The HDMI Forum has announced Version 2.1 of the HDMI Specification at CES 2017. The main talking points are the inclusion of support for 4K resolutions at a 120Hz refresh rate and 8K at 60Hz, as well as Dynamic HDR and a higher bandwidth cable. It'll be a while before 8K displays are widely available, as we're only just starting to see 4K becoming commonplace, but there are also improvements in HDMI 2.1 for people without super high resolution displays. New 48G cables have upped the bandwidth of HDMI to 48Gbps from 18Gbps. Dynamic HDR support means you'll be seeing a broader and nicer range of colors on your display as it adapts the video frame by frame for the optimal output of brightness, contrast, and detail. There's also a new technology called Game Mode VRR which features a variable refresh rate. In essence it does the same thing as Nvidia's G-Sync and AMD's FreeSync, in that it's designed to eliminate screen tearing and reduce lag. Plus, HDMI 2.1 is backwards compatible with previous versions and devices, but of course we'll have to wait for hardware manufacturers to start implementing the new specification. There's also eARC, which supports object-based audio and enables audio signal control capabilities including device auto-detect. Look forward to these HDMI improvements when Version 2.1 launches later this year some time in Q2.